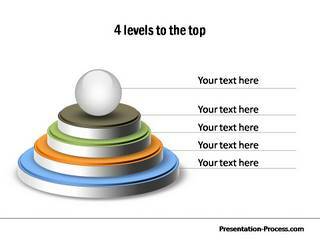 PowerPoint steps diagram template is used to represent stepwise progress. You can represent steps in process, how to steps for instructional design, steps to reach a goal, steps in levels and sequential steps. Variations are included to depict corporate ladder, stairs to reach higher levels, footsteps towards goal, rungs to climb etc. Other keywords that indicate the diagram set are: PowerPoint stairs and stages diagram.